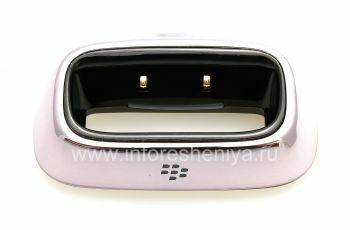 Lying on the table, the device is always ready to "accept" your smartphone, — most convenient way to charge your BlackBerry. 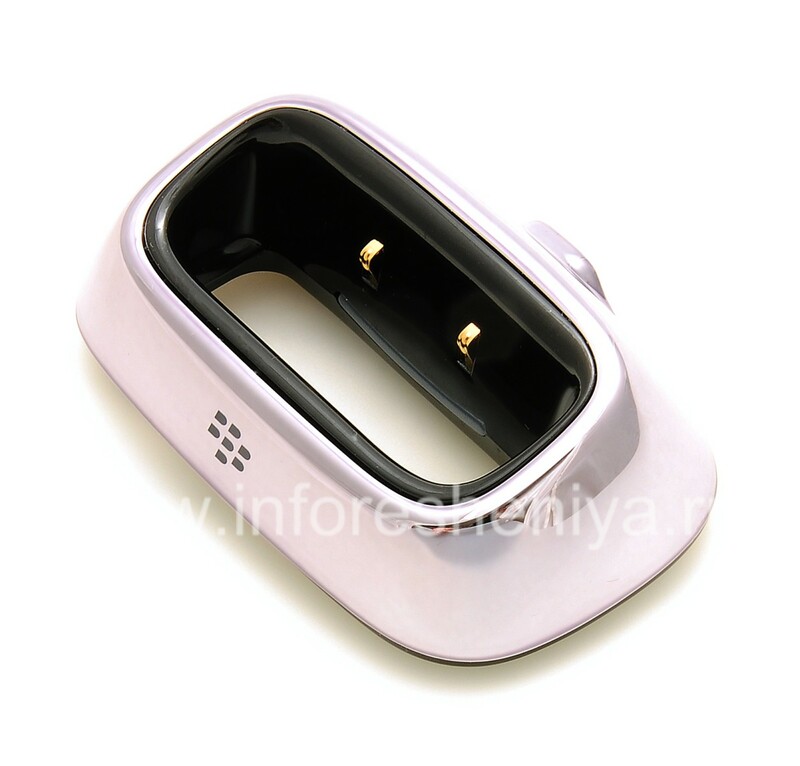 Original desktop charger "Glass" for BlackBerry 8100/8110/8120/8130 Pearl — without doubt the most convenient way to charge your smartphone. Also, the device is called the Charging Pod or Charging Dock, or the Cradle, which can be translated as "dock for charging" or "cradle", which reflects its purpose. 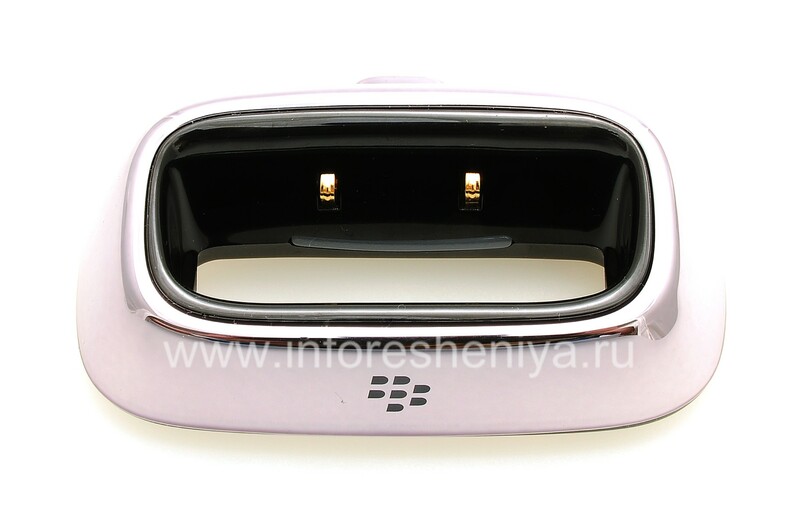 The secret of these special chargers is that the BlackBerry has developed additional power contacts, and brought them to the lower part of the body. Thus, inserting a smart phone in such a device, it immediately begins to charge — is extremely convenient to the desktop, near the bed. Firstly, no extra cables, and secondly, put the phone on charge in "glass" much faster than plug the cable into the USB-connector. During charging, the phone can be used — you can use the speakerphone, listen to music or watch videos without removing it from the charger! Also important is the aesthetic component of such devices — they look really nice. By placing the smartphone in Cradle, it switches to "night mode" and displays the clock and allows the subtle lighting. 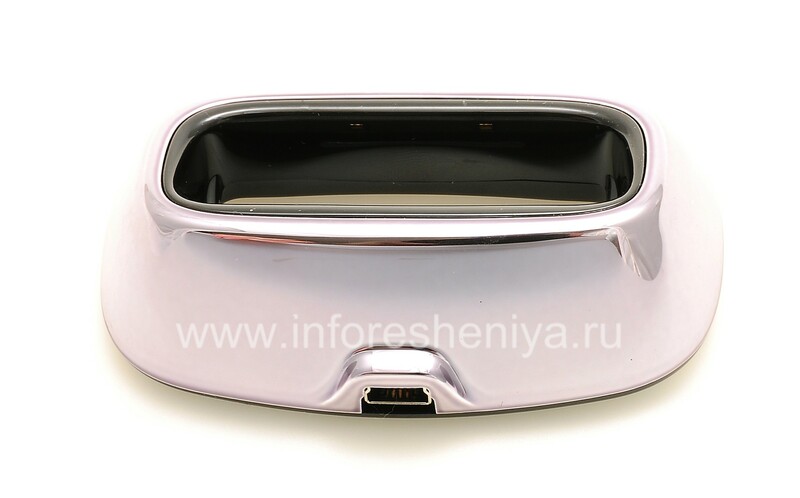 The design of the device is made in chrome, metal, style. See photos — you like it! Needless charger must be connected to the power supply (on the back side is MiniUSB-connector). To do this, you can use the USB-cable (to connect to a PC or network charger), or to a standard "COMPLETE" Charger MiniUSB. Device for supply not included.